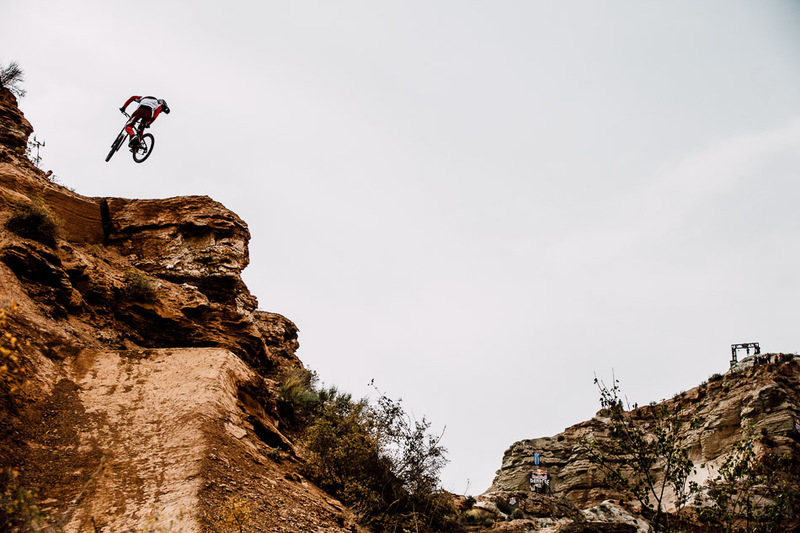 Yesterday’s number-one qualifier, Graham ‘Aggy’ Agassiz was up early this morning to practice his line—and it was clear he had his sights set on the win. 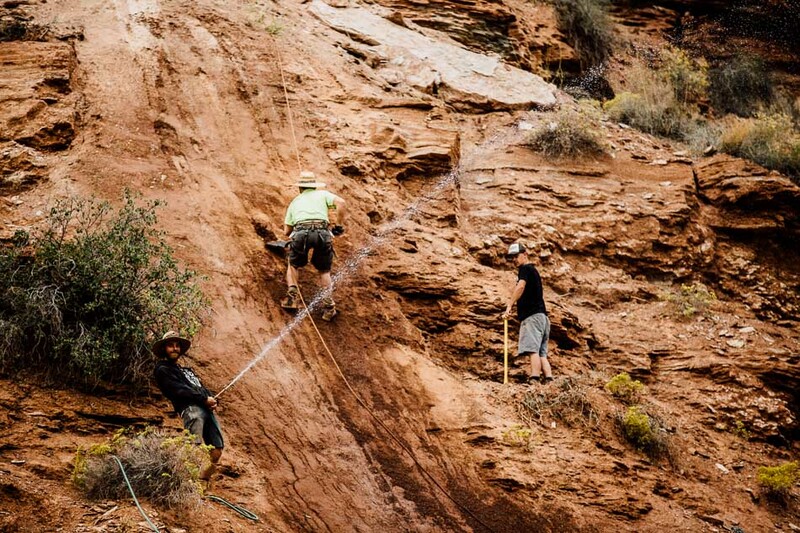 It wasn’t just the athletes and fans who were excited for the Red Bull Rampage finals: The main build crew had been slaving away in the Utah desert heat for the better part of a month. Despite the fact that the finals were moved up by one day due to weather concerns, the Friday crowd of frothing fans was still sizable—and their exuberance overshadowed their numbers. 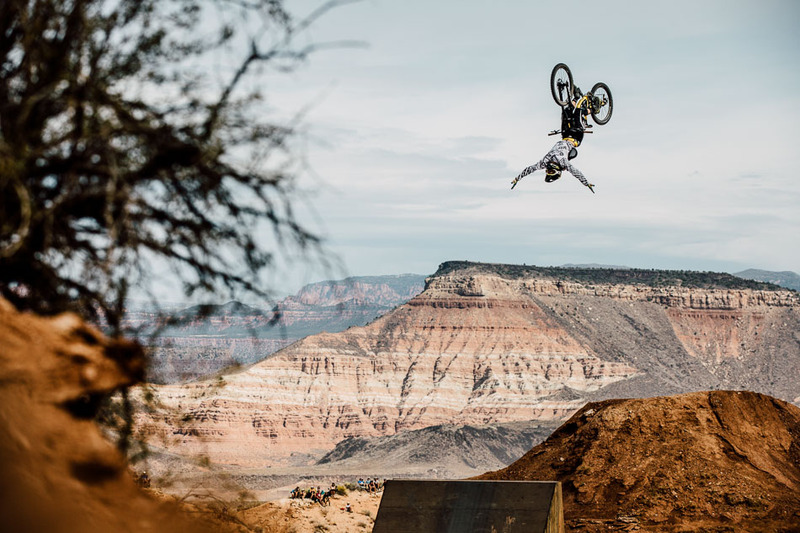 Longtime fan favorite Kelly McGarry has made a name for himself by going upside down. True to form, Brandon Semenuk showed a laser-like focus ahead of his two near-flawless runs today. And with a roll-in as consequential as this one, focus is essential. 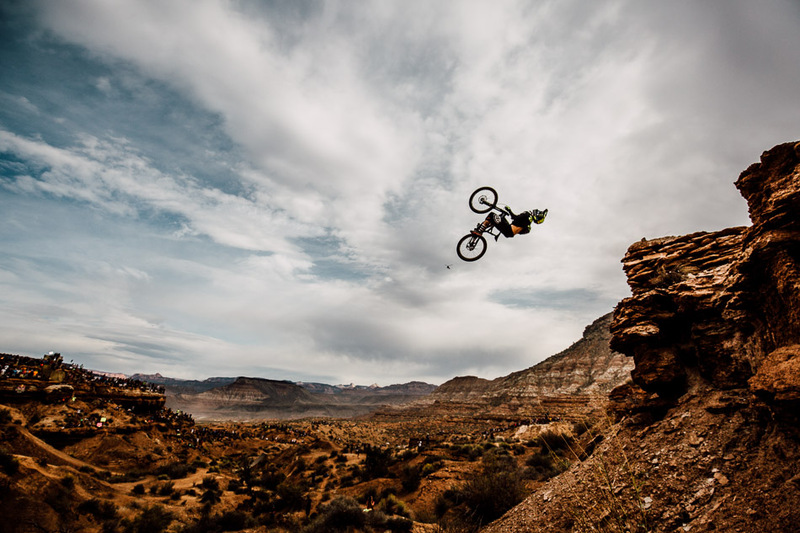 Semenuk had to Revel in the Order rather than the Chaos. 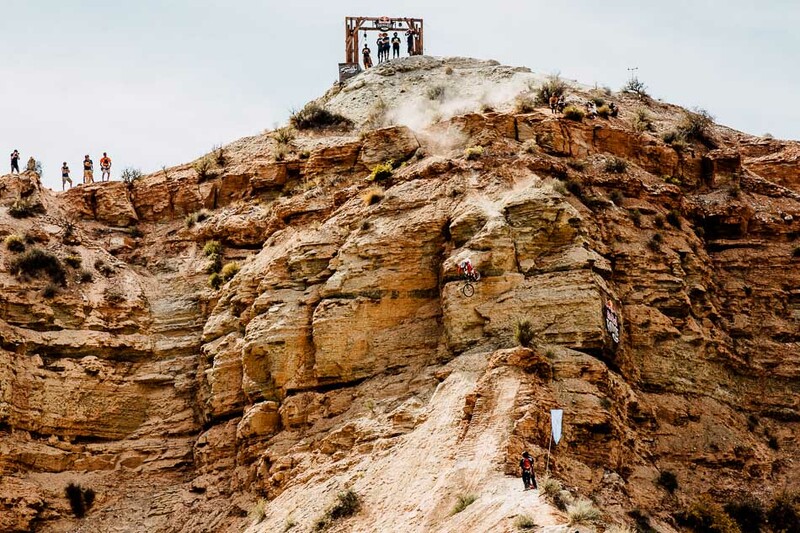 The non-motorized Evel Knievel, Cam Zink, delivered on all of his promises on his first run, throwing his huge 360-stepdown from last year’s line, only to follow it up with a giant backflip that sent the fans into a frenzy. 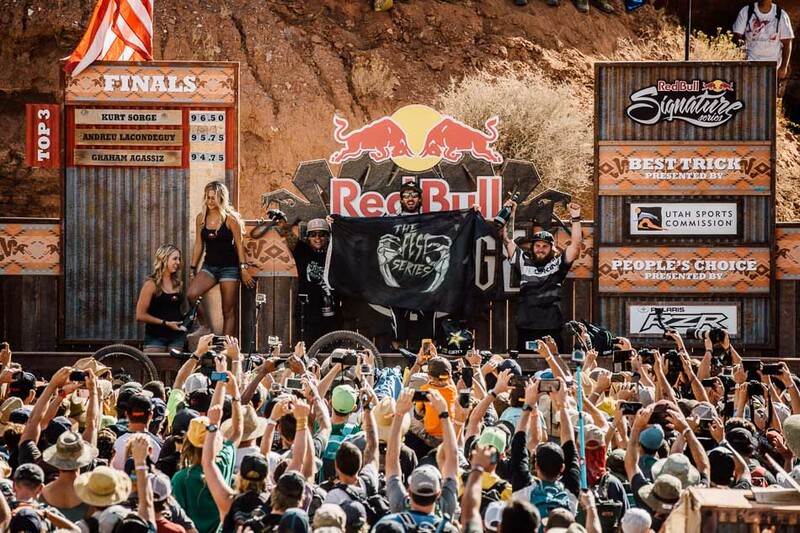 Many observers felt that Zink’s effort had been massively underscored by the judges, and after seeing the disparity between his score and those of some riders to follow, Zink declined to make a second run. 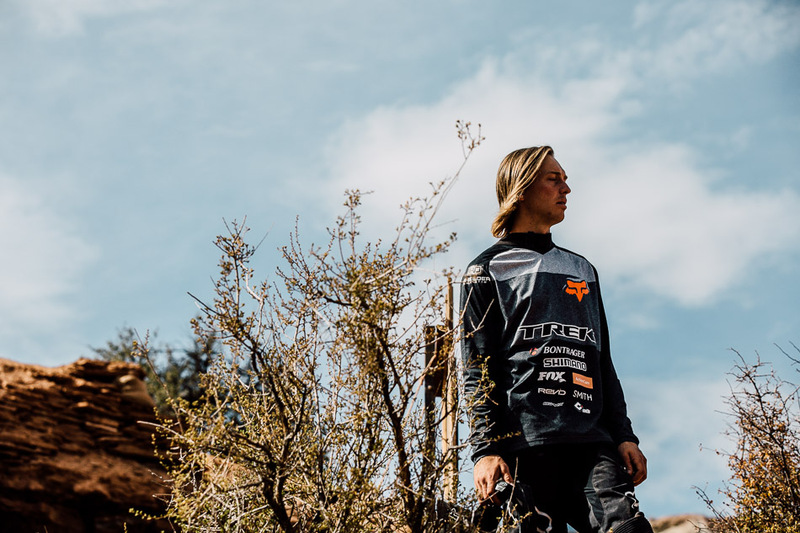 Just before Brett Rheeder’s second and final run today, he had only one thing on his mind: Linking together a run that would top that of his main competition for the FMB World Title, Thomas Genon. 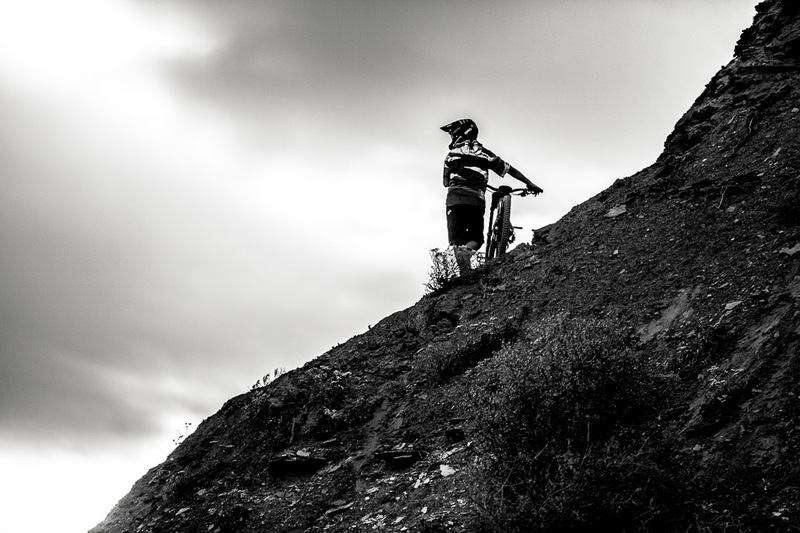 He looked on course to achieve this, but an untimely crash dashed his hopes for the FMB World Title. 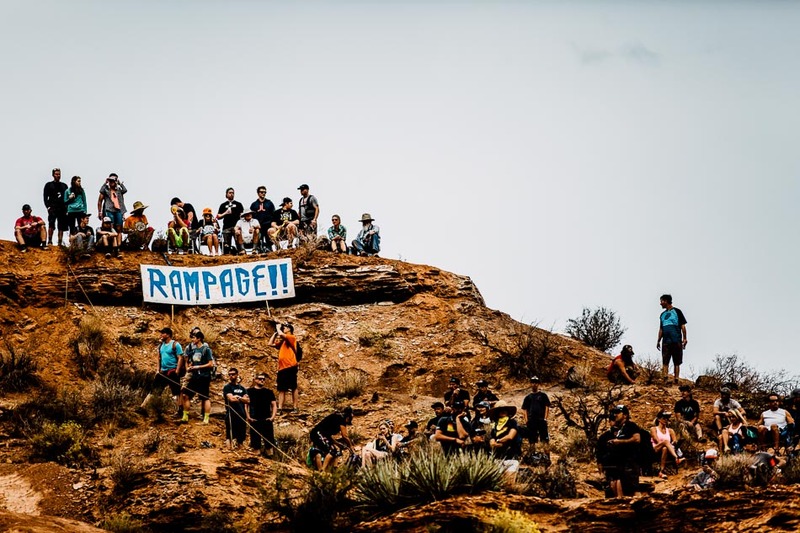 Last year’s Rampage winner, Andreu Lacondeguy, improved on last year’s winning line with speed and precision, but the judges felt that this year it only merited second place. 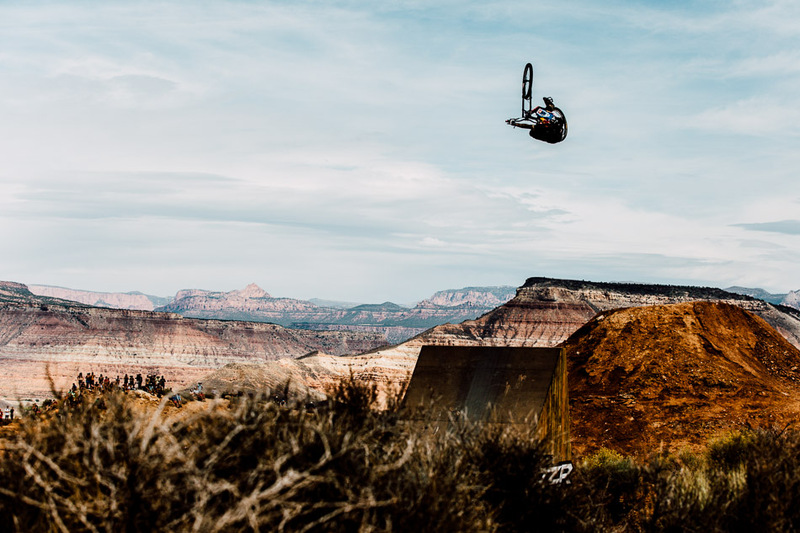 There are only a couple of riders in the world who would take their hands this far off the bars when the wind flag is blowing like a ship’s main sail, and Graham Agassiz is obviously one of them. And one of the main topics of discussion this afternoon was whether his run was scored fairly vis-a-vis that of winner Kurt Sorge. 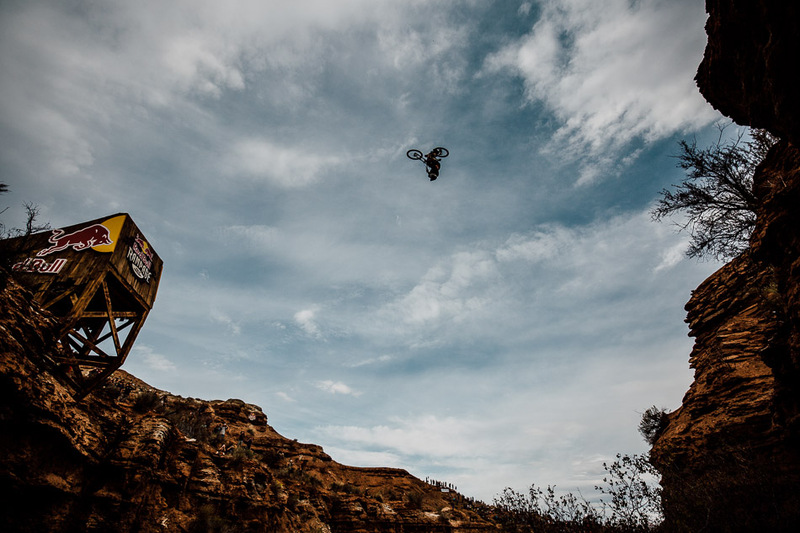 While everyone was concerning themselves with the usual fan favorites, dark horse Antoine Bizet came out hard this morning with a run that could easily have shuffled the podium had he not crashed attempting a double backflip toward the bottom. 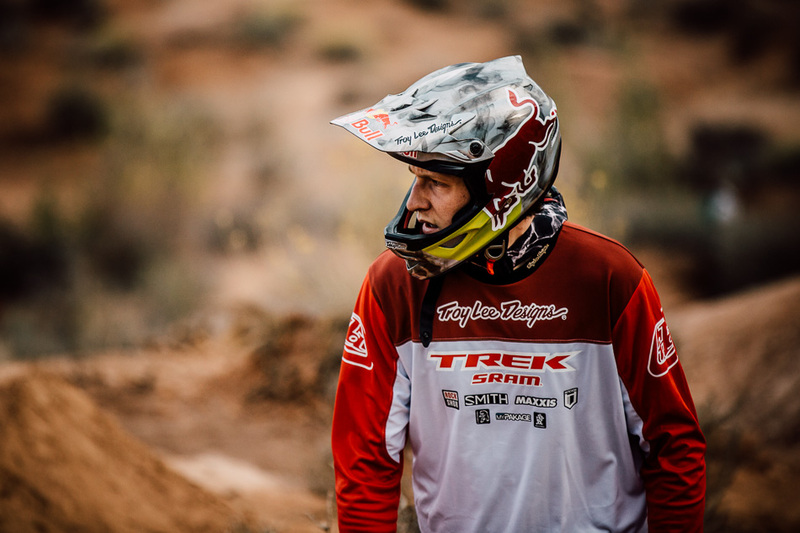 From the top of the mountain to the bottom, Brandon Semenuk was the definition of precision. Many observers felt that he had been markedly underscored and deserved a higher ranking than fourth, if not the overall win. And the fact that he won this year’s Peoples’ Choice award lent credence to this point of view. 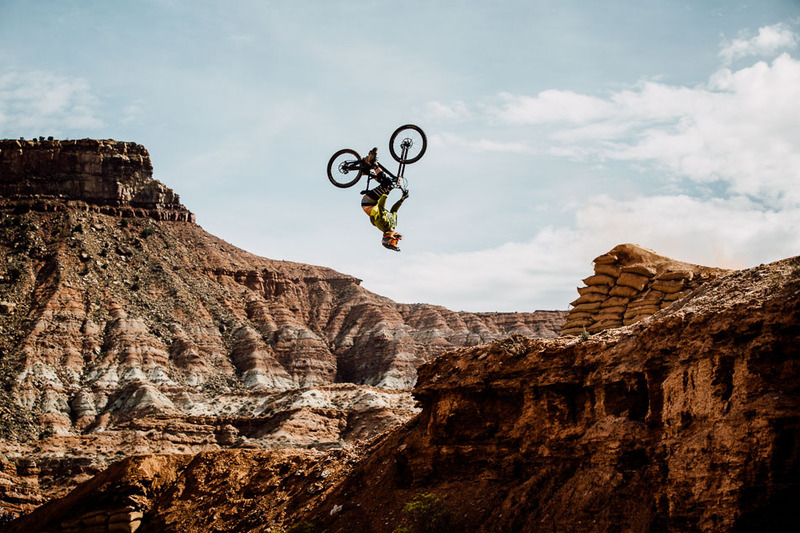 The 2012 Rampage winner, Kurt Sorge, pulled out all the style stops with moves like this backflip tuck no-hander, wowing the fans as well as the judges—and joining Kyle Strait as only the second rider to win Rampage twice. 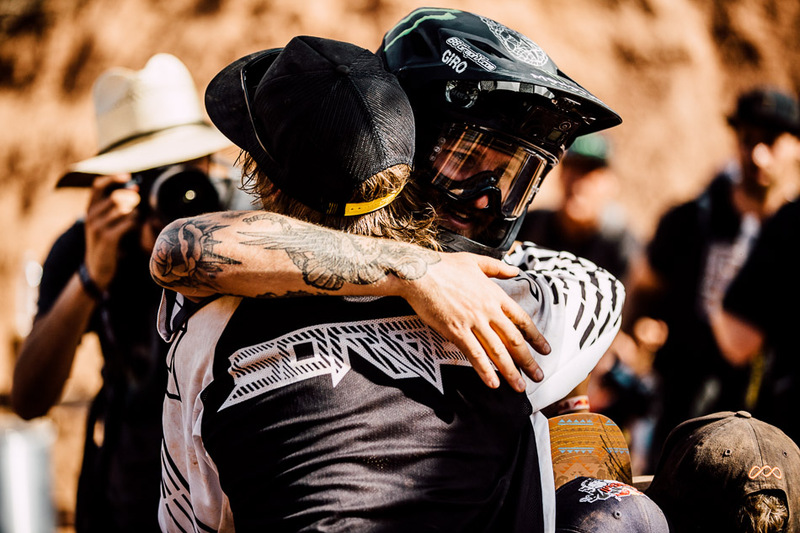 Even though Kurt Sorge’s score effectively denied Graham Agassiz a chance at victory, Aggy demonstrated the rare mix of sportsmanship, chivalry and friendship that elevates mountain biking to a higher level. In this game, riders throw down the best runs they can, and the rest is in the hands of the judges. But it is probably not a coincidence that the three riders on the podium today are all Fest Series organizers and standouts. 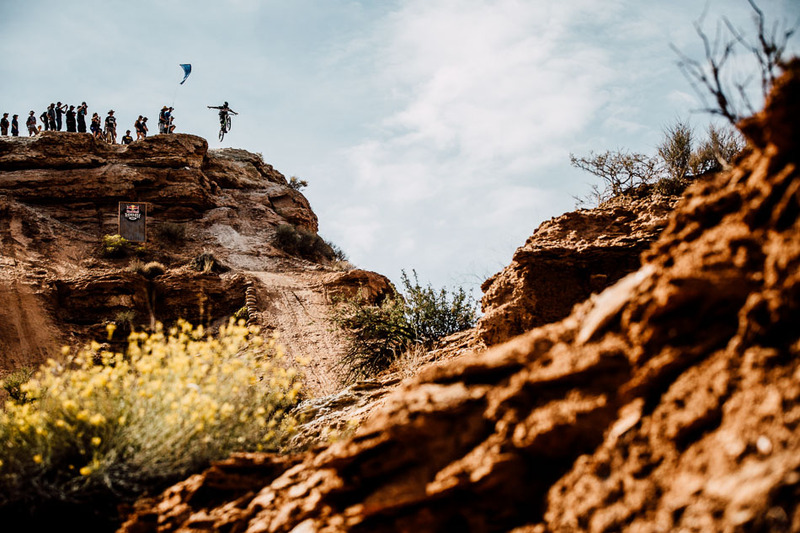 And after seeing the progression of the Fest Series over the past two years, is it really any surprise that the three riders on the podium are some of the Fest Series’ main masterminds?